If your roof does not necessitate a full roof replacement, roof coatings can be one outstanding alternative to consider. Coatings are extremely valuable for the longevity of the roof. They also can turn the roof into a highly reflective surface that helps decrease surface temperatures that can mean lowered energy costs for you. Besides that, coatings help seal off splits and cracks on the roof and help create a monolithic application that can form to roof surfaces that are irregular. If you want a coating that is virtually waterproof that can seal off water on the entire roof including its protrusions, flashings and vents, then an acrylic coating is the best choice for you. This type of coating produces an acrylic aqueous and high quality polymer that cures to form a continuous and durable elastomeric membrane over a metal roof surface. 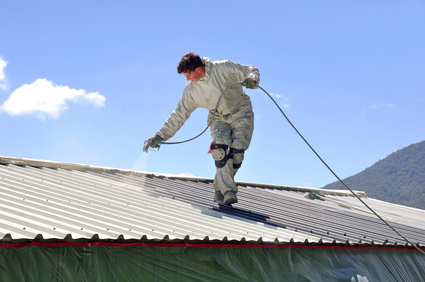 We offer coatings for certain metal roof applications such as aluminum coatings (for bitumen based roofs). We also reapply saturant for bitumen-based roofs as well as copolymer coatings for metal and single ply roofs.